I made this cake mainly for my brother, and his family coming to visit. I used a recipe, originally for cupcakes and doubled the recipe to come out with a good amount of cake. 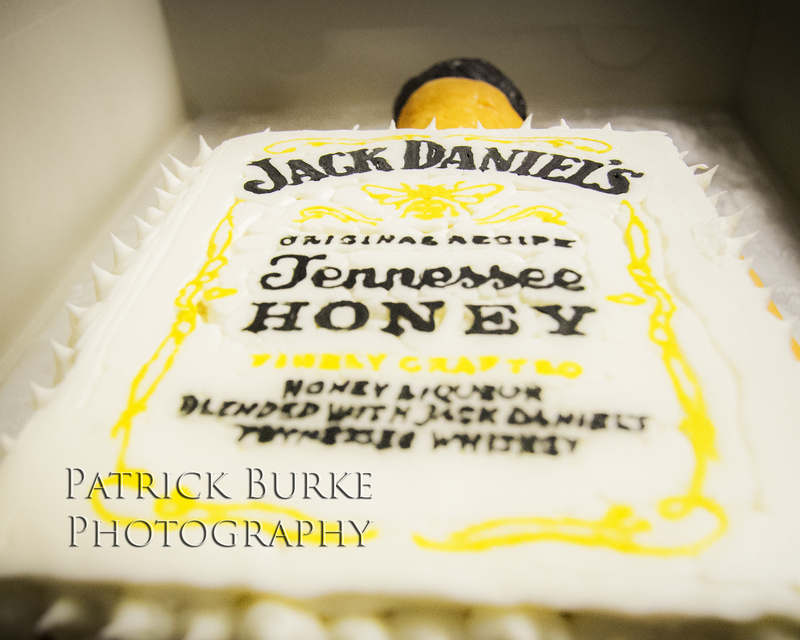 I used, whiskey buttercream frosting to dirty ice the cake, and to fill in between the cake layers. I’m still pretty new with covering cakes in fondant so I did end up with a few cracks. I used RKT for the bottle neck, and let me just say this was the first bottle neck I’ve made, so it turned out a little funny. The I tried what’s called a buttercream transfer to get the label of the bottle onto the cake. I was a little nervous with the technique, so there were a few air bubbles, but now I know I can apply a little more pressure without fear. It’s all a learning experience. I am very happy with how yet another first attempt turned out, and I can’t wait to apply the techniques I learned to other cakes, and eventually, another go at this one!